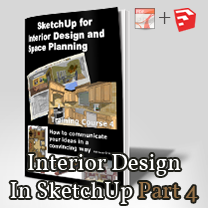 Working with SketchUp interior models is completely different from creating models that can be seen only from the outside. You will learn how to show interior spaces by using various styles and sections, and by bringing in shadows and lighting. 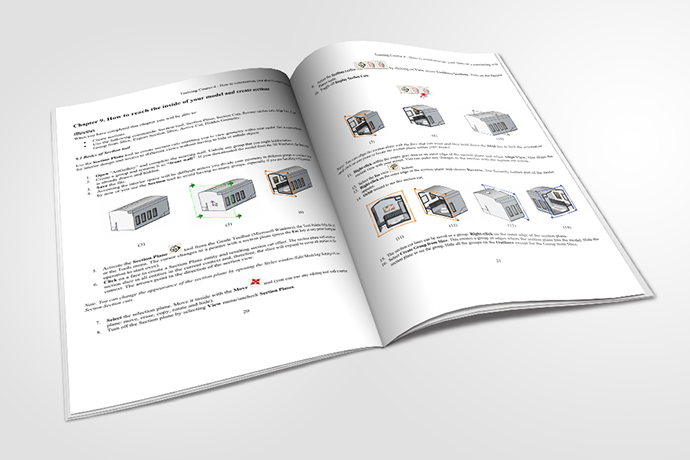 You will learn how to use scenes and, animations, export images, print perspectives and drawings in scale, export files to other programs, and import Autocad® files.